It’s a jungle out there – at least when it comes to making birthday cakes. For me, the stress of cake creation is pretty much akin to that of moving house. In other words, it’s near the top of the (long) list of jobs I’d rather outsource. I did just that for my daughter’s first birthday. It was great – no fuss, no mess, no stress. But the price tag… wow. So I resolved from then on that her and my younger daughter’s subsequent birthday cakes would be homemade affairs. Baked with love, if not a deft decorating hand. And while I’ve managed to find a trusted recipe to bake cakes from scratch, let me say that decorating them is definitely not my forte. Well, it seems my baking lifeline has arrived – in the form of a wonderful box of goodies that, like all good things, comes delivered straight to the door. With my daughter’s second birthday around the corner – and the memory of last year’s 3am cake finish still oh-so fresh in my mind – I wanted to avoid a last-minute panic. 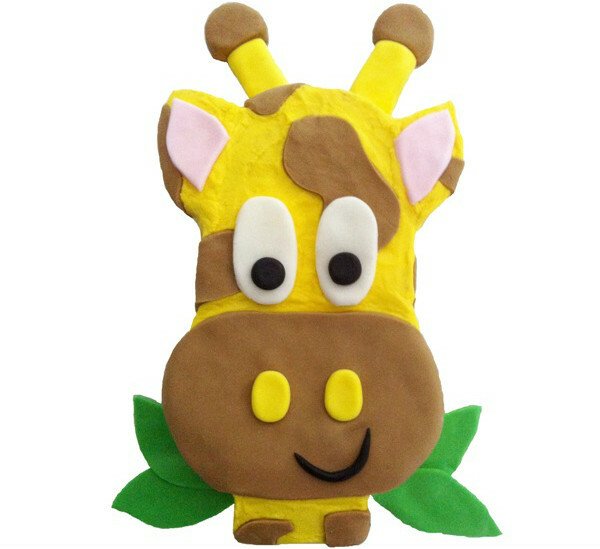 So I tested out one of Cake 2 The Rescue’s DIY kits – the gorgeous giraffe. The beauty of the kits is they come with everything needed to create a cake that promises to look as good as it tastes. And I do mean everything – from cake mix, icing sugar, coloured fondant and food colouring, to stencils, rubber gloves, candles, cake board, cake slicer, a rolling pin, a nifty pre-greased, disposable baking tray and my hero – step-by-step instructions. This may be the first time I’ve actually started a cake feeling excited instead of terrified. The actual baking part was super easy – just throw together the cake mix with a few pantry staples – eggs, milk and butter. I popped it in the oven and it came out perfectly, when the instructions said it would. While the cake cooked, I jumped on to Cake 2 The Rescue’s website to watch a much-needed tutorial on icing cakes – the part I’ve always struggled with most. Baker Girl Lou, the brains behind Cake 2 the Rescue, has also posted step-by-step videos on shaping and icing cakes, using fondant, creating character faces and creating 3D fondant shapes. So with foolproof tips and prepared icing and fondant in hand, I began the usually daunting task of decorating the cake. One of my absolute favourite items in the DIY kit was the stencil, which helped me turn the rectangle sponge into a giraffe’s head. 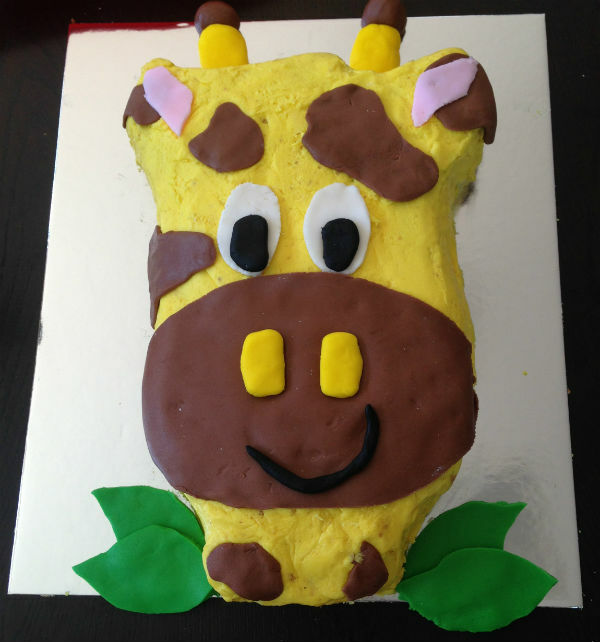 There were also outlines to cut the fondant into the giraffe’s eyes, muzzle, ears and the leaves at the bottom of the cake board. Now, I have the attention span of a gnat – which is not at all helpful when decorating cakes. 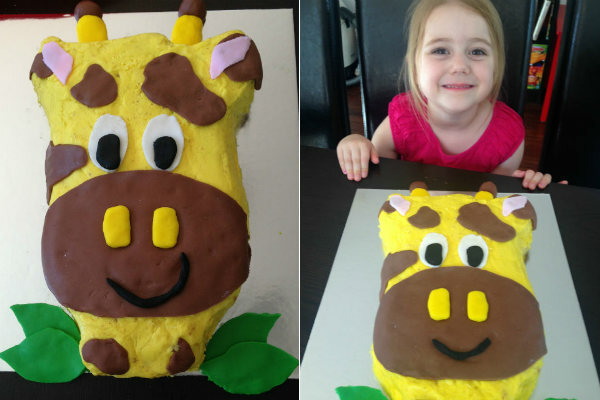 But my cake had been transformed into a very cute giraffe’s face in what seemed like no time at all. 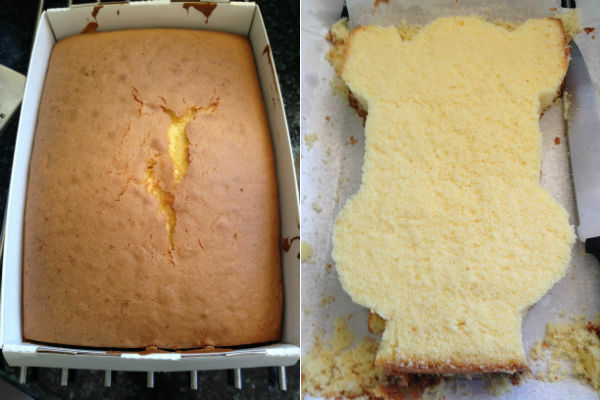 Best of all, it actually resembled what was on the kit’s picture – and not a tear or desperate plea for help in sight. Of course, kids will be the ultimate judges of a cake’s success, so we invited our neighbours over for a “birthday for everyone”. The verdict? They actually didn’t believe that I had made it (I’m not sure that was a compliment!). And going by the empty cake board at the end of the day, they were as impressed by its taste as they were by its looks. 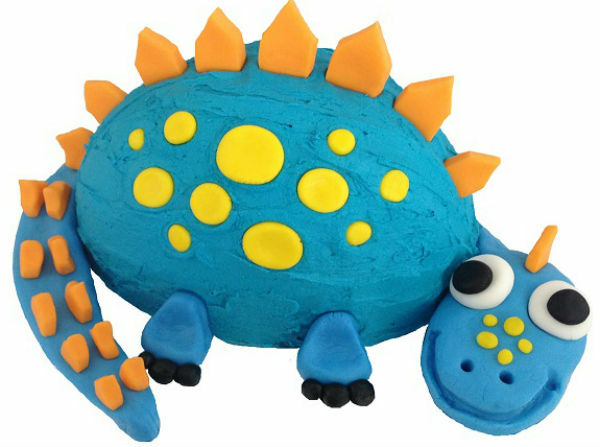 I enjoyed making this cake so much that I’ve ordered another kit for my daughter’s birthday – next up is Dinosaur Bob. 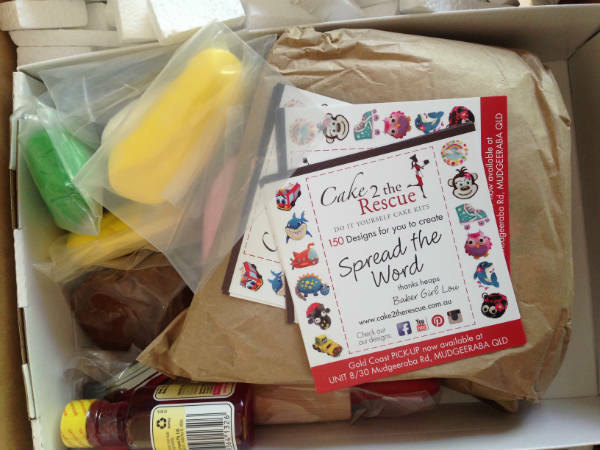 If you’re game, step out of the cake-making jungle with me – Cake 2 The Rescue will lend a very sturdy guiding hand. There are 150 cake or cupcake designs to choose from, for birthdays, baby showers, christenings and other events. There’s a theme for everyone, including animals, princesses and fairies, sports, transport, superheroes, under the sea, Vikings, dragons and pirates. Find out more about Baker Girl Lou and her kits at Cake 2 The Rescue, where you’ll also get party ideas, baking accessories and really useful baking tips.